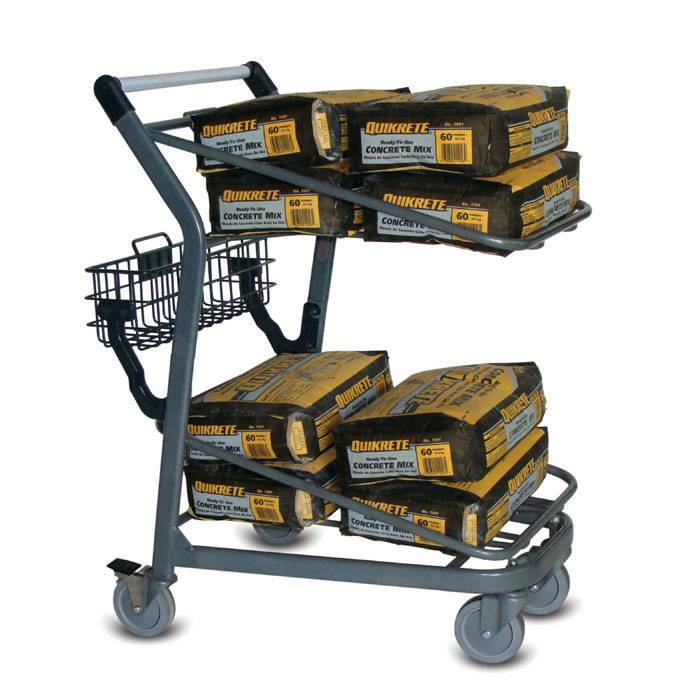 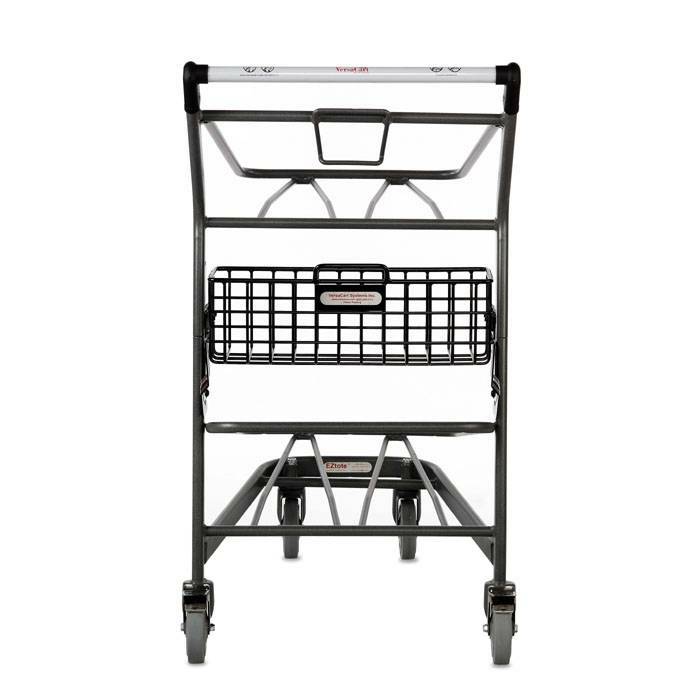 This two level stock cart is ideally suited to both warehouse and retail environments. 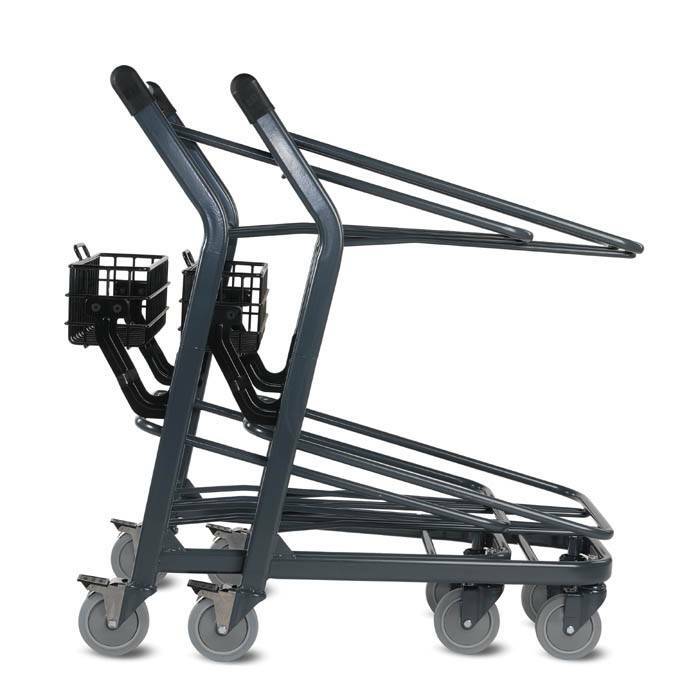 It is nicely balanced for easy customer use in the retail store yet incredibly durable for use in the warehouse. 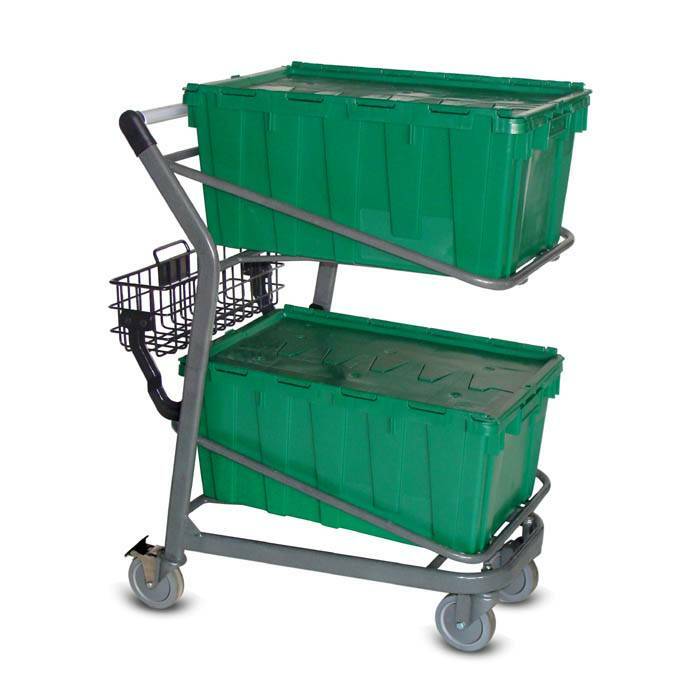 When used with plastic bins, it is perfectly suited for order picking or customer car delivery applications. 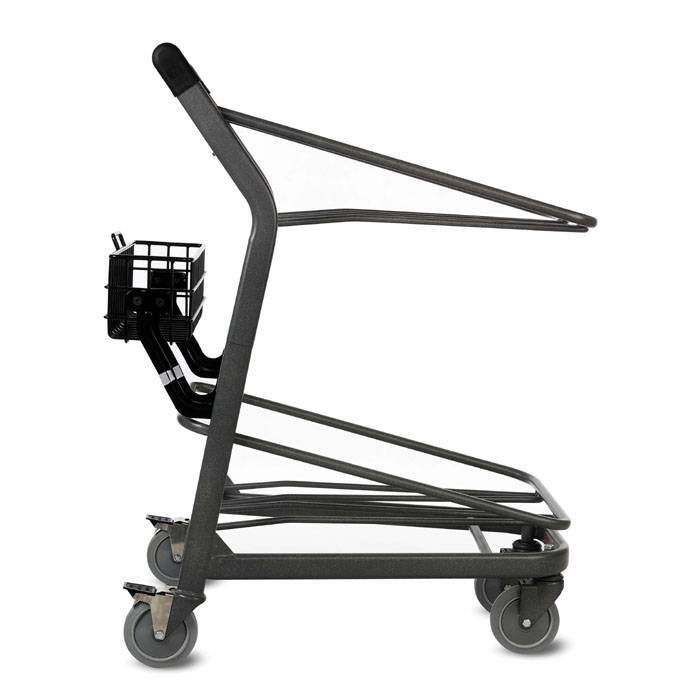 It has a metallic grey powder coat finish. 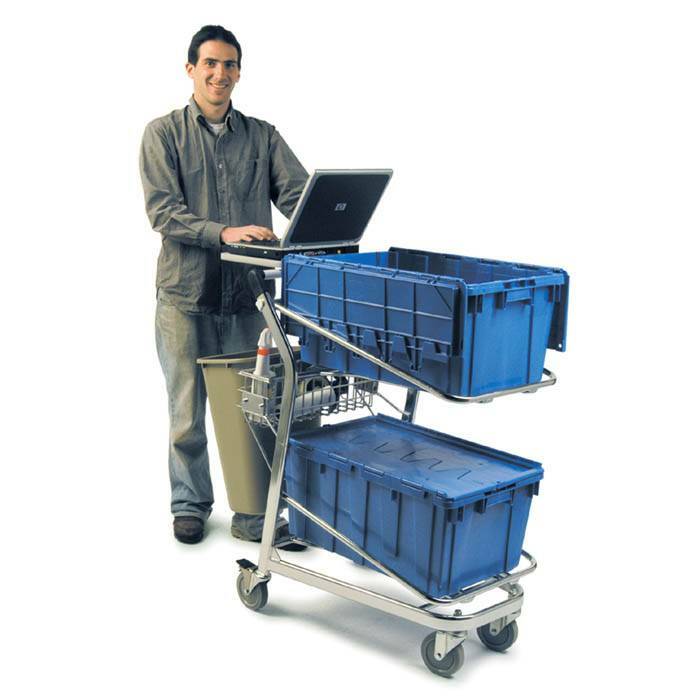 The basket at the back and the plastic bins are sold separately. 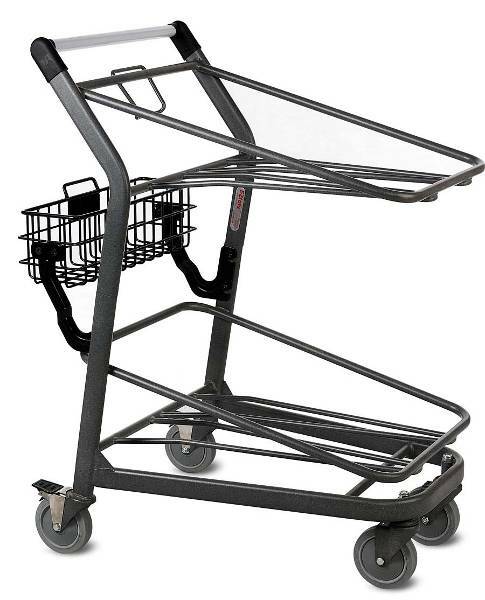 Dimensions Width 22.83" Length 31.5" Height 41.25" Upper deck 27" x 17" Lower deck 27" x 17" Weight Capacity 500lbs Weight of Cart 51lbs 5" heavy duty wheels Comes standard with brakes on the rear wheels.